Few words arouse stronger emotions among Hungarians than the name Erdély or Transylvania. While for most people in the English-speaking world “Transylvania” conjures up the image of Dracula, for Hungarians it is associated with a proud and time-honoured national past, as well as a real and tangible present. This circumstance should not surprise anyone. Transylvania is home to the largest Hungarian community living outside of Hungary. In fact this community is one of the largest minorities existing in any country that is a member of the European Union. Transylvania is also the place where Hungarian presence had existed uninterruptedly for at least eleven centuries, and it is the place where Hungarian culture flourished even in times when in other Hungarian lands it languished because of Ottoman Turkish or Austrian Habsburg rule. 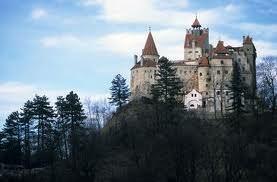 The geographic limits of the land known as Transylvania have changed with the passage of time. Before 1920 this term was used to designate an area of the Carpathian Basin that was smaller than what the word describes nowadays. For most Hungarians, the word Erdély today signifies the lands that had been transferred from Hungary to Romania as a result of the Treaty of Trianon of June 1920. Most of the time this rather inaccurate and unhistorical definition will be used in this volume. When it will not be used, the context and meaning will be explained.